Google Quick Search Box, Quicksilver Successor? It wasn't so long ago that Quicksilver developer, Nicholas Jitkoff, was painting a pretty glum future for everyone's favorite free Mac application, Quicksilver. The story is not over though. It looks like the gang over at Google, where Nicholas now works, has been busy putting together a new incarnation of Quicksilver under the Google banner with the recent release of Google Quick Search Box. The beta software isn't near the functionality of Quicksilver (yet) but this may be one to watch for all keyboard jockeys. 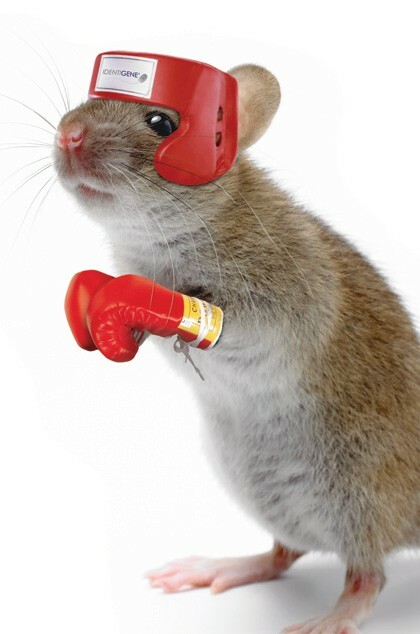 For the last few months I've been running an informal test of LaunchBar. 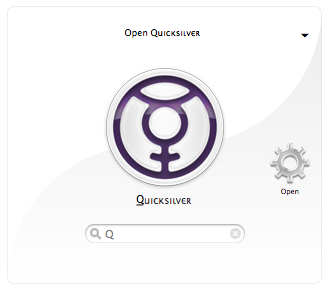 It is an excellent application but after living with it for awhile I'm happily returning to Quicksilver. I found LaunchBar more stable than Quicksilver but not as customizable and I really missed some of my favorite Quicksilver tweaks like timers, text append, the shelf, and (of course) that so cool cube interface. 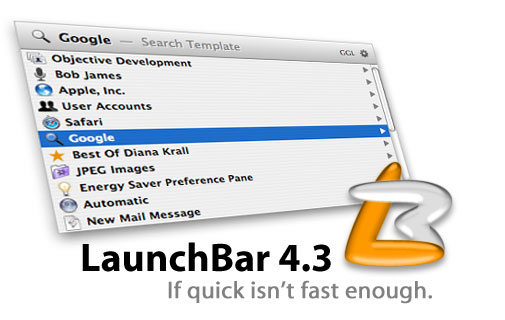 I wouldn't entirely write off the possibility that I'll give Launchbar another try someday but for now I need to go back and get re-aquainted with the Cube. Screencast #5 walks you through the various Quicksilver tricks available for supercharging the Apple Address Book. 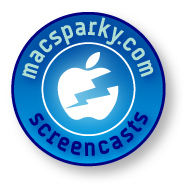 I'm happy to post my first screencast. It took me about 5 minutes to record it and about 5 hours to figure out the fancy graphics for the entry. At least it gave me an excuse to learn to use Motion. This screencast is about how to use Quicksilver to append text files. This is a trick I use frequently so check it out. I also linked some other great quicksilver tutorials here. 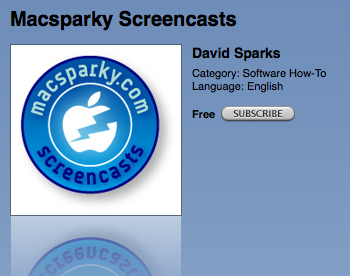 You can hear the below review in MacReview Cast #113. My experience with Path Finder is an interesting one. 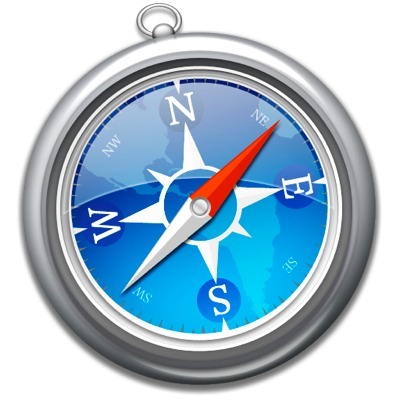 When I first switched to my Mac, a friend told me to forget about the Apple Finder and use Path Finder. Well I downloaded it when my Mac was shiny new and it didn't grab me. I used it a few times but found myself going back to the less intimidating Apple Finder. Well I know quite a bit more about OS X now than I did during that failed trial and decided to give it another go. Now I can't imagine ever working without it. Path Finder is the Swiss Army Knife of file management tools. When you first open the application there is a group of six windows that are fully customizable. You can display a variety of data from your running applications, file and folder histories, volumes, selection paths, information, permissions, attributes, console, and even a terminal window. The binary view makes me laugh but hey, it must be useful to somebody. With so much variety you can make Path Finder can change to suit your needs rather than forcing you to change to meet the application's needs as is so often the case. In the main display window it has a Path Navigator that visually tells you where you are and where you have been as you drill down. Like the Apple Finder, Path Finder supports all standard view modes including list, icon, and hierarchical. Also, control clicking on an item in Path Finder gives me a lot more options than I am used too. Of course you can do the normal file management tasks like copying and moving but you can also email, compress, create a disk image, open in terminal and a variety of other options. This program is very feature rich. So much so that in the week I've been using it I won't pretend to say I'm familiar with them all so I'm going to focus on a few that really grabbed me. The customizable bookmark bar is very nice. Taking a page from Safari and other web browsers, Path Finder has a bar of common file locations across the top of the screen with drop down menus. It has the usual suspects built in: Documents, Music, Movies and the likes. But you can also create your own custom drop downs like "downloads" or anything else you need frequently. Another great feature is the Drop Stack. When I open a finder window it is usually to work on several files. With the Drop Stack it gives me a place to temporarily drop files while I'm navigating through multiple menus. Once I've assembled everything I need to work on in my drop stack, its all in one place and easy to get too. This just doesn't mean moving and copying. I can also burn and compress items straight out of the Drop Stack. Like Forklift and Leopard's Finder, Pathfinder has an excellent preview pane that handles most image and HTML files and even quicktime movie files. I set one of the larger panes for preview and it is very helpful when moving or cleaning image files. Using the "File History" setting, Pathfinder keeps a running tally of my most recently accessed files. This is nice as I'm going through my day if I am working on several projects. 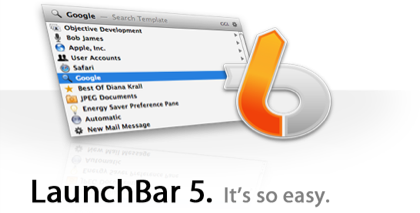 Path Finder also brings some extra muscle to searching your Mac. I've found Spotlight to be very good at ferreting out lost files but occasionally something will get misplaced into a location that Spotlight doesn't look. 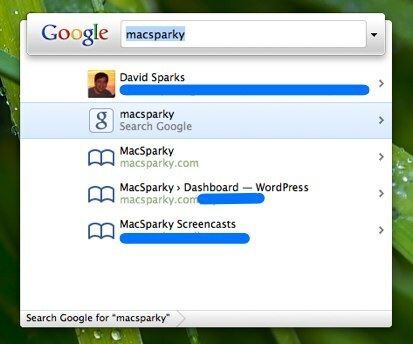 Path Finder has its own separate "Fast Search" engine that will search the entire system. You can't beat Path Finder for compression. A version of the StuffIt compression engine is built right in. When sharing with your PC friends, it also allows for ZIP compression. Another nice feature is the application window. By holding down command-F8 you open up an attractive window that displays icons for all of your applications. This is great when I need to open an application but forgot its name. Did I mention it has a built in console window, text editor, and easily allows you to see hidden files? Looking at the preferences you will see that Path Finder is even more adaptable giving you control over the entire look and feel of the application. Reflecting on the way I manage files I must give a nod to Quicksilver. Once you get accustomed to Quicksilver, you can't really beat it for down and dirty file management. With just a little practice, you can move, copy, and trash files as quickly as it takes to open Finder or one of its replacements. I really use Path Finder and Forklift on file management tasks that take some heavy lifting. Path Finder is my finder replacement. It is robust and bends to fit my needs. I would give Forklift the advantage for FTP but generally found Path Finder more useful for the way I compute. I will be keeping both programs and I am certain I will be using them both. If you are looking for just one, you should download and give each one a week or two on your machine to see what fits you better. Like Forklift, Path Finder also has a free trial period. If you get hooked, it will run you $34.95. 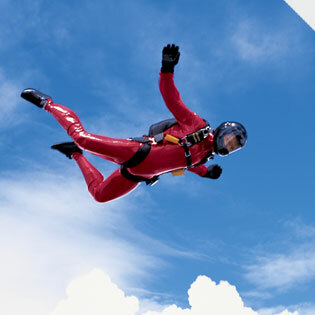 Quicksilver is one of those programs that doesn’t wow you until you’ve been using it a month. Then it knocks you off your socks. Its a launcher, but much more. It can pull up iTunes playlists, it can compress files, it can move files, eject discs. I really didn’t appreciate how great this program is until I started watching some of the online videos so go check them out!